As you’ve no doubt heard by now, Myst, one of the most beloved and revered adventure game series of all time, has been optioned to be turned into a full length motion picture. While the content of the movie is no doubt up in the air at the moment, people have been taking shots at Myst and other video game properties for years now, hoping to stick some kind of tap into that overflowing font of money-making wizardry. Here’s the problem: it’s no great secret that many video game movie adaptations are reviled by even some of their most beloved franchise fans. I’m not going to say that all video game movies are flat out bad by any stretch, but if we’re being honest, there is always plenty lost in translation between the monitor and the silver screen. Heck, just ask Mark Wahlberg. Or the Rock. Or Jake Try-To-Spell-My-Name-Without-Using-IMDB Gyllenhaal. Looking around on the tubes, I’m seeing a considerable amount of concern out there for the Myst movie, with fans like myself wondering how it can even be portrayed in a way that works, and deservedly so. 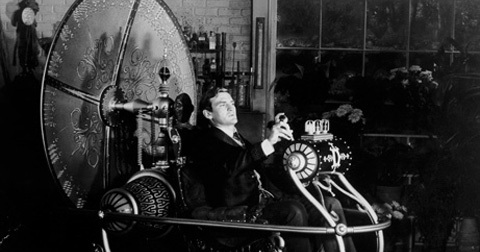 So, we thought we’d put together a list of things that will help Hollywood, and more specifically Mysteria Film Group, keep the Myst movie from suffering the fate of many other less than well-received adaptations. No, I don’t mean the actual skull-and-crossbones kind of pirates, buckling swashes all over the docks of Myst island or shivering somebody’s timbers across the huts of Channelwood. I’m actually referring to the Pirates of the Caribbean movies. Say what you will about the trilogy, but it took the idea of a Disney ride and managed to turn it into a semi-entertaining adventure flick. It’s a concept nobody saw working until it did. Likewise, video game interactivity is hard to translate to the screen, so scrap the plots of the games proper and build a new story around the lore of Myst. The only direct references to any of the games should be as in-jokes and other nods to the fans. Fortunately, it sounds like this is already the direction that Mysteria is steering, so go us. One of the things about video games is that there is no shortage of danger for players to face. Over the years, we’ve gotten used to being chased by zombies, hounded by goombas and around the time of Myst’s release, swarmed by the denizens of a Hell portal to Mars. The absence of all of these things is what made the first Myst game one of the more quietly frightening titles I’ve ever played. Myst had a foreboding atmosphere that permeated its setting, and you could see it in the design of each new book and the way the puzzles were put together, oozing character and backstory and sinister power. So much of the lore behind the games is about that kind of corruption, so bringing that terror to the screen would serve the movie well. I know, the Myst ages weren’t exactly brimming with citizens like little RPG towns, NPCs running around everywhere for you to hear everything from the latest Chocobo race results to which reporters got punched by which Spectres, but unless you can find an incredible A-list actor (you probably can’t), avoid giving Myst the Castaway treatment. Sure, some fans might argue that you’d lose something, but watching a guy by himself for an entire movie rarely works. Discounting Myst Online, the other entries in the series started adding a few characters. Granted, many of them were trying to lie, trap or steal from you, but that’s what makes stories great. There is a wealth of material to explore here, including the origins and fall of the D’ni civilization, Atrus and his sons, and the art of writing. These are all stories filled with great potential for interesting characters and rotten villains. Give the characters some kind of mystery so solve. We don’t need to see them humming to correctly plunk in the keys on the piano in the rocketship or pulling levers or looking through telescopes constantly, but the spirit of the gameplay needs to be honored in some form. 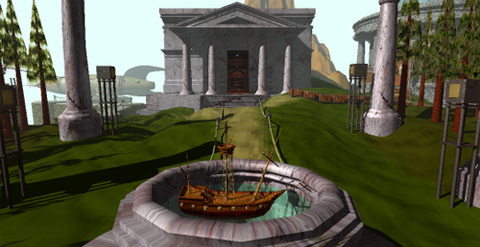 At its heart, Myst is a splendid puzzle game, and that needs to be reflected on screen. What I’m saying is I would rather see the characters wrestling with huge enigmatic mysterious forces than shooting at Nazi zombies or dinosaurs or whatever else you might think could spruce it up with some action. Inflating airships or the coaster ride from Myst III seem like great set pieces to start from. On second thought, shooting at dinosaurs might not be so bad. Ouch. I know this one’s a bit of a low blow (and at present impossible without capacitors that flux), but Myst was at its peak of relevance back in the mid-90’s, when it was the game that helped shape and form the PC gaming landscape. It was unlike any game I had ever played at the time, and I would have paid top dollar to see it in theaters because Myst was on the mind. I get that it’s hard for developers and studios to find common ground when making these pictures, but penning a movie 10-15 years too late is exactly what happened to Doom and plenty of others. 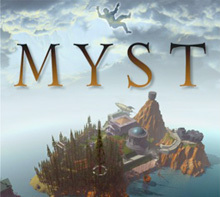 Granted, one could argue that in that time frame Myst has also become one of the highest selling PC franchises of all time, so its fanbase has only had time to grow. I suppose we’ll find out when the movie releases, won’t we? And there you have it. 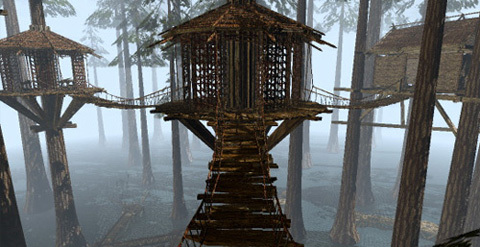 Our definitive list for how to make a good Myst movie. What else would you guys add to this list, or is there anything that you disagree with? Which other video games would make good movies, and what advice would you have for its producers? The make it 15 years ago tip made me smirk, its true though. Myst was scary, mostly because my brothers let me play already a couple hours in and told me I was being chased, but still the the eeriness of it all was undeniable. My choice for cast(because all movie discussions eventually lead to it): Michael C. Hall for whoever the main “hero” may be, he does well alone, can tell a story just with his facial expressions. For the inevitable villain figure(although Id rather have the antagonist the world itself) I like Kevin Spacey lol, he scares me just by staring but I imagine only his voice would be heard until the face to face at the end…and Kevin Spacey’s voice is basically a metaphor for Myst, watch Moon. This is a great post and I wish more of Hollywood would pay attention to little details like these when making and even when choosing which games to make into movies. As long as Uwe Boll isn’t involved, there’s always a shred of hope! I actually think Myst would work better as a television mini-series. The pace of the game is just all wrong for a feature film, but if you could stretch the running time out to six or nine hours then you might be able to do something that would reflect the spirit of the game. And it’s not like the bar is set high for movie adaptations of video games. Prince of Persia is probably the best one that’s been made; it was competent and fun, but ultimately forgettable. Let’s just hope that Myst doesn’t end up in line for the MST3K treatment along with Street Fighter, Double Dragon, and Super Mario Bros. 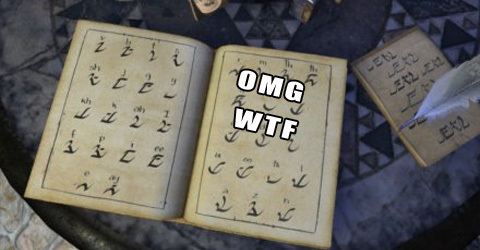 So, according to the site, the film will be an adaptation of Myst: The Book of Ti’ana. It’s encouraging that they won’t be trying to rehash the stories of any of the games, and also that they’ve chosen what would have been my pick for the strongest film-friendly story arc in the Myst universe. With the full blessing and cooperation of Rand Miller and Cyan, I’m a little bit hopeful that this might not be a total bust. This list seems pretty solid. I think that there should be other people but in more of a limbo way, where you can see there handiwork but never quite figure out who they are or why the are there, with the except of a few of them for plot purposes. on a side note, anyone notice how disturbing Atrus is? I mean first he locks his old man up, then both his sons. granted they were all crazy but still the guy seems to imprison a lot of people based off of what he feels is right, what is to say you (the player) are not next? “I am afraid that you know too much…my old friend.” I think it would be cool to see the movie follow Gehn, Atrus’ father, as he deals with the downfall of the D’ni civilization, such that the viewer thinks he is the good guy. I really want to see a well thought out character arc that goes from a good man trying to save his dying civilization to a power hungry person who thinks he is god because he can write worlds, ending with his imprisonment by atrus, his own son, such that the you are not sure who is right. @benign1, are the books good? I always wanted to read them but never got around to it. the only thing on here that i disagree with is making it populated. i grew up with the myst series being my favorite game franchise and the reason why is because every game was always so mysteriously creative and always made you feel so alone (which added a lot to the creepiness). i think the movie should be kinda like the beginning of 28 days later where he was absolutely alone and you were just as confused as he was to what was actually going on. and i definately like the idea of making it take place in the early 90s. good post and viva myst.